The Michael Okpara University of Agriculture, Umudike MOUAU Adjusted and Revised Approved Second Semester Academic Calendar for 2017/2018 Academic Session. 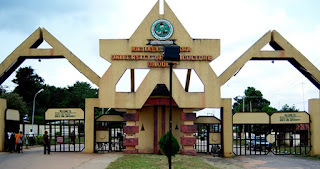 The Senate of the Michael Okpara University of Agriculture, Umudike MOUAU has approved and published the revised/adjusted undergraduates academic calendar for the 2017/2018 academic session. Friday, 27th April, 2018 — Regular Registration Ends. Monday, 30th April - Friday 4th May, 2018 — Late Registration: Add/Drop Registration including application for Excess Credit Load. Wednesday, 10th October, 2018 — Consideration of Results.